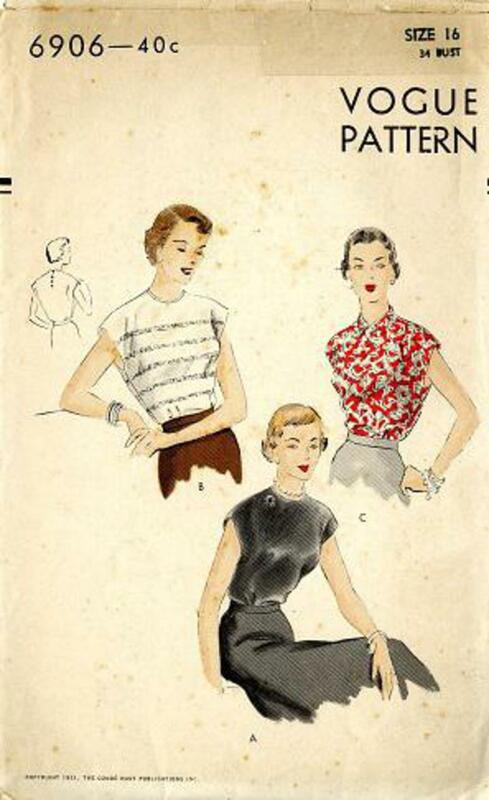 1951 Vogue #6906 vintage sewing pattern, misses' tuck-in blouse with cap sleeves, round neck-line with or without tab collar. Lace insertion optional, size 16. Unprinted tissue pattern, factory folded.